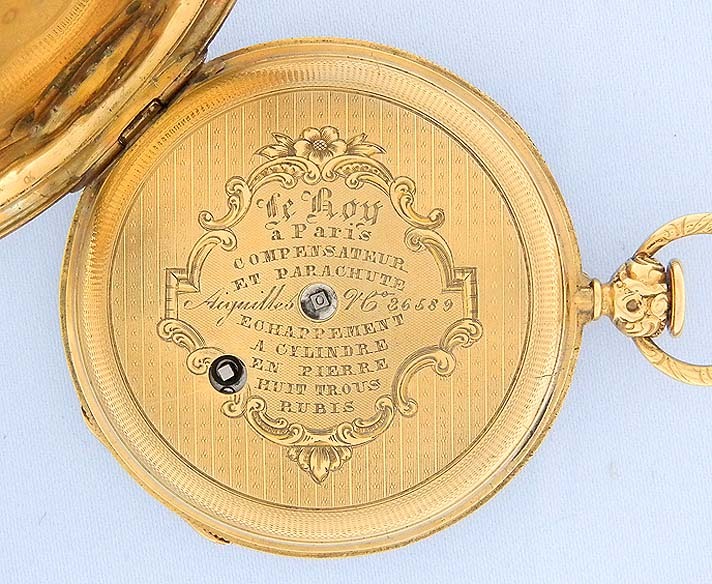 Fine slim French 18K gold quarter hour repeater ruby cylinder antique pocket watch by Le Roy, Paris, circa 1820. 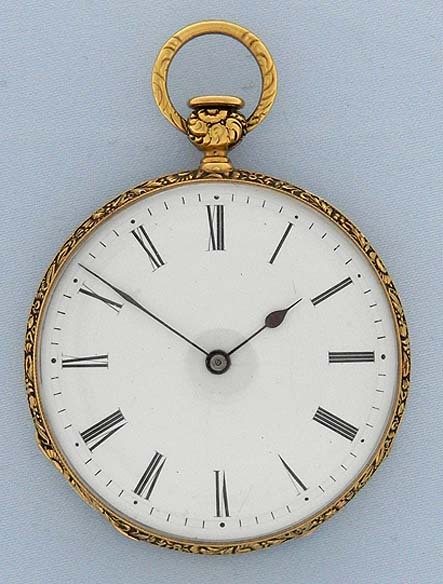 White enamel dial (slight surface scratches) with black markings and blued steel hands. 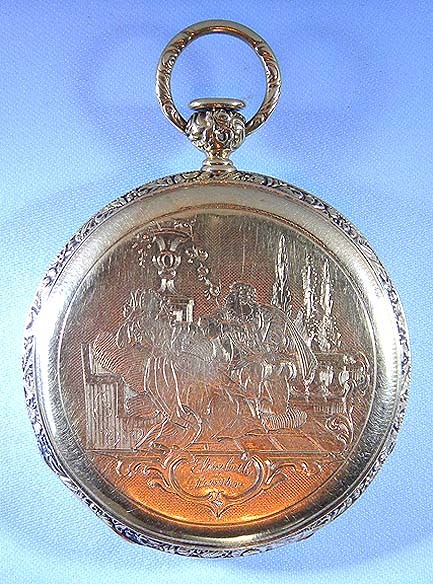 The case with chased bezels, pend and and bow, the back with a fine engraving of a courting scene. The engine turned dust cover with details of the movement. 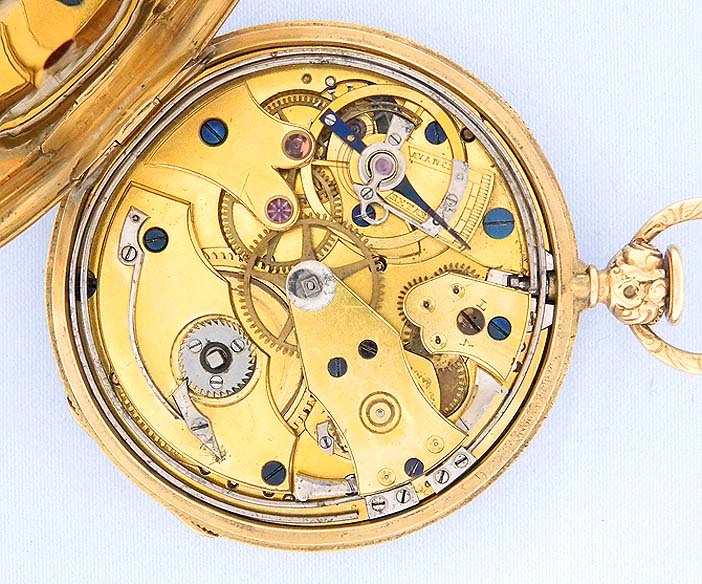 Lepine caliber Breguet style 11 jewel movement with parachute shock protection and bimetallic temperature compensation curb. 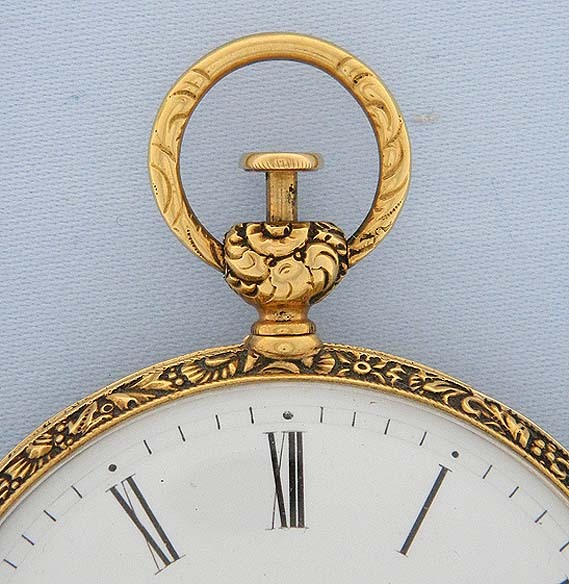 When the button in the top of the pendant is withdrawn, turned and depressed this watch chimes the hours and quarters on two gongs with loud clear tones.